Zia Quizon also opened up about being diagnosed with a mental disorder called Body Dysmorphic Disorder. Singer Zia Quizon, who also happens to be the daughter of showbiz royalties Zsa Zsa Padilla and the late legendary comedian Dolphy, took to Instagram to open up about going through a mental disorder, which affects the way she thinks of her overall appearance on a daily basis. “I suffer from Body Dysmorphic Disorder— amongst other diagnoses. ADAA defines it as “a body-image disorder characterized by persistent and intrusive preoccupations with an imagined or slight defect in one's appearance.” And, unsurprisingly, it is one of the major reasons I decided to take a step back from it all and reevaluate who I was becoming and the way I was living my life. The person I was indirectly telling little girls to look like or be like, as much as I convinced myself I was not interested in playing role model,” she narrated. According to Zia, the kind of mental disorder she has makes her feel ugly as a person. Thus, it always got her thinking that she is less than those whom she thinks looks better than her. But at the end of the day, she knows being a good person counts more than that. “I wake up everyday feeling like I am the ugliest person on the face of the earth. So it helps me to focus on the fact that, ultimately, looks are not so important. As much as I concede to the evidence supporting the notion that good-looking people do incur some sort of advantage in life just for being attractive. That’s life, too. But it will never be as important to me as being a good person,” she stated. 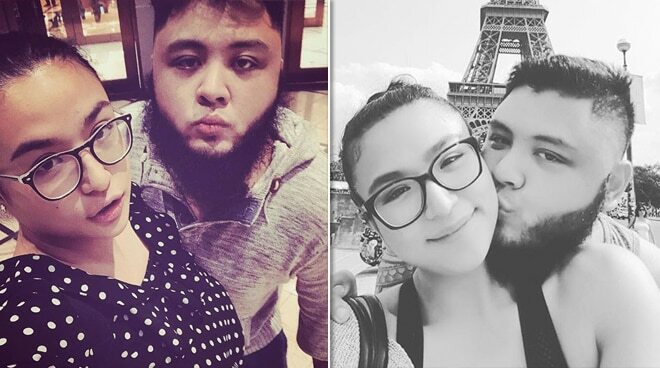 Then again, Zia was triggered after several netizens - including her family and friends - came for her boyfriend Robin Nievera and started giving out negative comments about his overall physical appearance. “But here is where you come in, Social Media. Here is where I post a picture of my beloved and all some people can comment on is how they dislike his physical appearance. The painful part is not when it comes from strangers, but people in your life. People you have let in, trusted, and are occasionally vulnerable with. “Friends.” “Family.” People who tell you they support you all the way, but cannot seem to control their need to chip you down about your flaws in front of others,” she said. Robin, the son of Martin Nievera and Pops Fernandez, has been in a relationship with her for quite some time now. Last week was #nationaleatingdisorderawarenessweek and I wasn’t going to post anything about it. I wasnt sure if I even count. Normally, I prefer to keep my medical information private. But comments on my last post made me want to clarify something to anyone who cares. I suffer from Body Dismorphic Disorder— amongst other diagnoses. ADAA defines it as “a body-image disorder characterized by persistent and intrusive preoccupations with an imagined or slight defect in one's appearance.” And, unsurprisingly, it is one of the major reasons I decided to take a step back from it all and reevaluate who I was becoming and the way I was living my life. The person I was indirectly telling little girls to look like or be like, as much as i convinced myself I was not interested in playing role model. I wake up everyday feeling like I am the ugliest person on the face of the earth. So it helps me to focus on the fact that, ultimately, looks are not so important. As much as I concede to the evidence supporting the notion that good-looking people do incur some sort of advantage in life just for being attractive. That’s life, too. But it will never be as important to me as being a good person. But here is where you come in, Social Media. Here is where I post a picture of my beloved and all some people can comment on is how they dislike his physical appearance. The painful part is not when it comes from strangers, but people in your life. People you have let in, trusted, and are occasionally vaulnerable with. “Friends.” “Family.” People who tell you they support you all the way, but cannot seem to control their need to chip you down about your flaws in front of others. I can do that thing where I pretend it doesnt bother me and I am above it and better than that. But I am not. Maybe one day. Because for now, it hurts. It sincerely f***s with me. Seriously. Enough to have to talk to my doctors or my therapists and sometimes enough to have to switch around medication. I am not telling you to stop coming to instagram for the primary purpose of judging others, if that is the joy you get from it. Follow your joy, man. Go right ahead. Just please... keep me out of it.